This competition is now closed. It was won by Angela Yates who supports Asbestos Action Tayside. Lucky Angela! 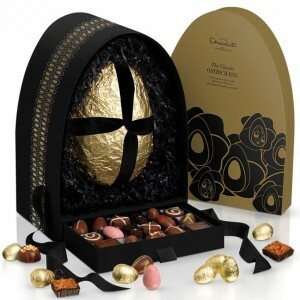 We don’t think so which is why we’ve teamed up with our friends at Hotel Chocolat to give away this Giant Ostrich Egg! Truly enormous shells cast in classically creamy 40% milk chocolate, studded with cookies, crispies and high-cocoa white, with an exciting collection of 29 dreamy chocolates, for a luxuriously mellow experience. You’ll also discover six fabulous foil-wrapped milk chocolate egglets hidden in your Ostrich box, each filled with a thrilling salted runny caramel. Visit Hotel Chocolat to take a look at the prize then come back here to tell us the answer and we’ll enter all the correct entries into draw to win!